Can My Husband & I Just Agree How We’ll Divide Our Property? Verbal agreements between the parties are totally unenforceable in law. You must memorialize an agreement in writing and file it with the appropriate court. Any Settlement Agreement between the parties is subject to approval of the court. In addition to certain statutory requirements, the Agreement must be “fair”, not entered into under duress and each party should have advice of independent counsel. Retaining a counselor to draft, file and argue the matter in a court is the best course of action. This is really not a time for self help. MA does not recognize legal separations, but does have other provisions to protect the separated spouses. If you are contemplating a separation, consider a separate support petition. This is will allow a couple to establish a support order for spouse and custodial parent, if you have children. It will NOT address distribution of property and does NOT dissolve the marriage. Does a legal separation freeze assets and debts at the time of filing? There are big difference between divorce and “separation”. MA does not have a provision for legal separation—only for Separate Support. Which means if you want to stay married but live apart, support orders can be entered which can include child custody and child support as well other provisions. However, the distribution of marital assets are not considered when a separate support application is filed with the Probate & Family court unless there is abandonment by the defendant spouse. 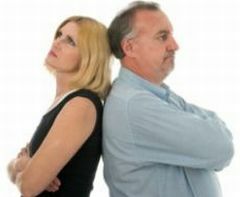 If you are concerned with treatment of property and assets should you and your spouse part ways, you are better off filing a Complaint for Divorce, which places an automatic stay on both parties restraining the sale, transfer, gifting or dissipation of assets or the further accrual of further marital debt to may have to be divided. Legal Separation is treated differently in different states. MA does not have provisions for legal separation, while New York, on the other hand allows a legal separation to be converted into a divorce after a 12-month period. You should consult with a local divorce attorney familiar with divorce and separation laws in your state about your concerns and rights.